In an effort to make sense of a chaotic world during a season of the year when people are most open to the Gospel message, evangelist Billy Graham hosted a worldwide telecast titled “A Season for Peace” in 1996. The World Television Christmas Special was broadcast via national television networks and international satellite home systems in 33 languages to hundreds of millions of people. The telecast used real stories of ordinary people worldwide, and included guest appearances from former President Jimmy Carter and Nobel Peace Prize recipient – and President of South Africa – Nelson Mandela. “A Season For Peace” was Graham’s approach to addressing problems people were facing. He used this program as a way to reach the world with the message of peace. Twenty-one years later, Billy Graham’s son, Franklin Graham, is using television in the same way. The Billy Graham Evangelistic Association released a new Christmas special titled “Rediscovering Christmas.” This year’s program reminds viewers that Jesus came into their fragmented and broken lives to redeem them. Watch the 2017 Christmas Television Special below. God bless u Billy and Franklin Graham and your whole organization! Thank you so much for your faithfulness in the spreading of the Gospel and showing the true meaning of Christ and his love. 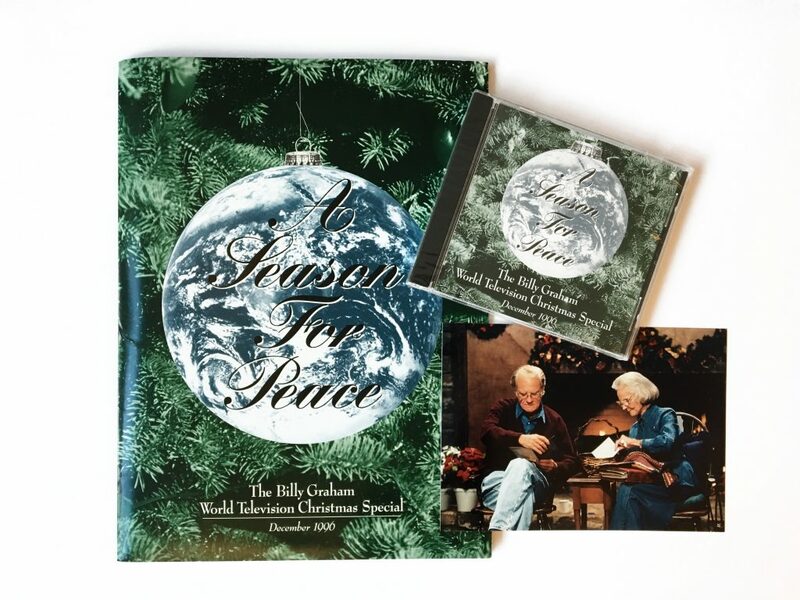 Is “A Season for Peace” worldwide telecast 1996 available to watch anywhere on line or can it be purchased?